Even if you don’t know the word, you very well know the feeling. We all have that one friend (an acquaintance really) abroad, who spends their whole weekend dancing — from dawn ’til dusk or dusk ’til dawn, whichever the case — only to emerge Lochness monster-like several days later, nursing a downer yet somehow mustering up just enough energy to Instagram that raging 4 am crowd from last Saturday at Sub Club or type up a superlative-drenched Fb post about the ‘mind-warping 12 hour set Friday night at Sisyphos’. This friend is the veritable embodiment of coolness and is a GL regular at every envy-inducing party within a 100 mile radius of their earthly coordinates. So while you sit at your boring work-desk in Delhi/Bangalore/Pune moping about the short-lived ‘good vibes’ at your local Cinderella hour club, fervidly refreshing your newsfeed in hope of a Seth Troxler meme to momentarily absolve you from boredom, you suddenly chance upon rare photographic evidence of this elusive creature. Before you know it, you’re experiencing FOMO. Music heads across the world are developing an increasing proclivity towards marathon sets. Serious listeners demand a proper journey from their selectors and 2 hours just don’t cut it. Sensing these shifting sensibilities organizers/promoters, too, have begun programming special all day or all night affairs where a single DJ takes center stage for the duration of the event. 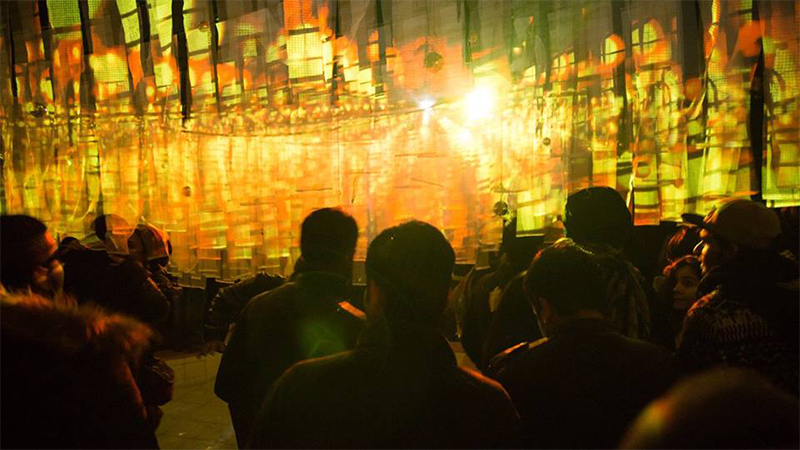 The Sunwaves festival in Romania is notorious for its never-ending hours of dancing. The 19th edition witnessed endless looping musical sojourns from acclaimed artists like Carl Cox, Ricardo Villalobos, Tale of Us, Lee Burridge and Craig Richards but it was Marco Corola who stole the show, playing for a jaw-dropping 24+ hours. However, the extended set concept isn’t new. Let’s throw it back with this flyer from some years ago. 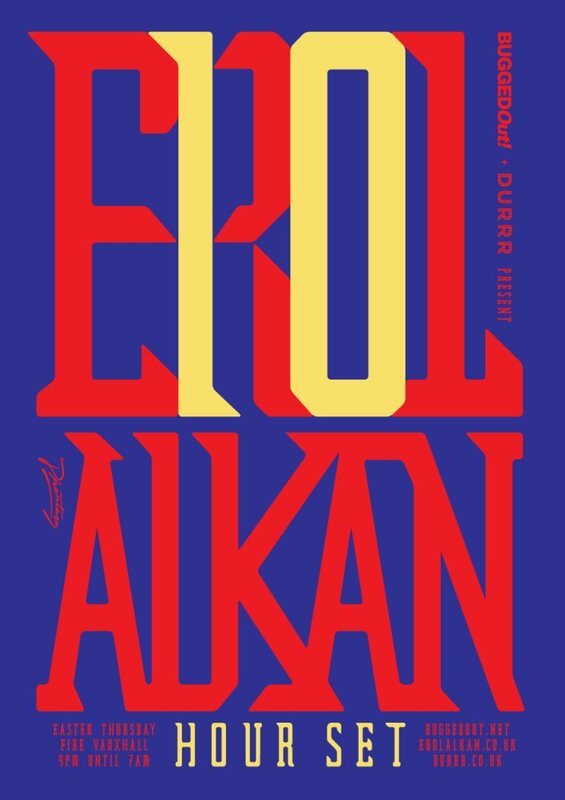 Since 2008, Erol Alkan and Easter Thursday have been synonymous with one thing: his marathon set. Starting in ’08 with five hours, he added an hour each year with the series reaching its logical conclusion in double figures. The closing saw Erol playing ten hours straight from 9 pm – 7 am. As tradition would have it, the first part of the set began in candlelight with Erol playing anything from beat-less ambient to psychedelic and disco dubs. The journey then wound its way through techno, house and vintage disco with the odd pop and rock classic thrown in. If we rewind the clock back further to the hey-day of DJ-driven events, in places like New York, Detroit and Chicago, Larry Levan and Frankie Knuckles would attend to the music all night. Due to logistical constraints, the idea of guest DJs did not exist back then. Residencies were the flavor of the day and there was a certain romanticism attached to longer sets. Over time this has curiously devolved into a 21st century sales pitch — one that fundamentally relies on the commodification of cool. The event description below underlined in red reads – “An intimate, all-night-long set for 150 lucky punters”, and sure enough, the few blessed attendees who find themselves at these ultra-exclusive club nights will step out of the door with their chests heaving triumphantly. Because, why not? They had been a part of something “magical”. So while the rest of the world is gaining access to more and more epic sets, why is the concept still alien to us in India? Well, mainstream dance music found its way to our shores only in the 1990s. By then DJs had the resources to play across multiple cities and sets had been downsized, in part to accommodate for their hectic tour schedules, and in part due to the implementation of bar curfews. As the scene witnessed an influx of new artists, festivals and parties, the organizers started competing amongst themselves by stacking their line-up. 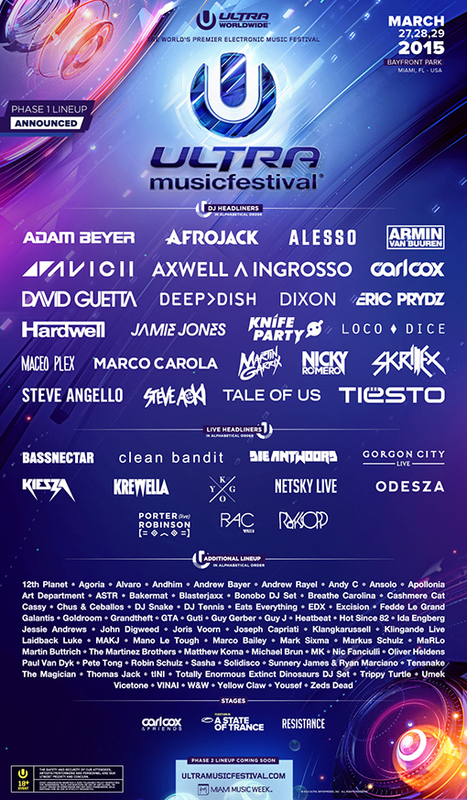 The equation for financial success inevitably turned into “the more names on the flyer, the bigger the crowd.” This mentality is especially pronounced in the world of giant EDM festivals like Sunburn and Vh 1 Supersonic, where every square inch of the event flyer is stamped with DJ logos. Ghastly artwork aside, huge billings with stunted set times have repercussions which extend far beyond crowd pull, and although extended sets are venerated among the purist underground music listeners, each type of event poses its own challenges. One of my biggest qualms with “massive” line-ups is disconnect in the musical progression as they transition. Egos frequently clash as DJs are left exasperated by the previous guy on the decks. In a utopian world, individual sets would imply a gradual build up leading up to a befitting culmination of an atmosphere that sustains throughout the evening. However, more often than nought, there exists this unspoken rivalry which finds each artist trying to outdo their colleague before them. After all, EVERYONE wants to bang it and be remembered as the guy who killed it at So & So Sessions. I like to call this phenomena “the P.l.u.r(al) Death”. My second pet peeve is the issue of repetition. If DJs are going to play only 45 minute sets in which they are required to put their best foot forward, how do they all avoid accidentally using the same current Beatport sensation in their genre (yes, the evil unfortunately lives). You can’t help but eye-roll when it’s the 249th time, in the space of a 3 day festival, that you hear someone drop Maceo Plex’ remix of ‘Sordid Affair’. On the other hand, long sets afford unrestrained experimentation across multiple genres and allow DJs to play out more down-tempo or ambient tracks, which under normal circumstances, would fail to see the light of day. This sound exploration keeps the mixes fresh and exciting as opposed to shorter sets which have a low recall value. An extended set is the perfect opportunity for an artist to be creative, for there is scope to exhibit wide-ranging musical prowess. Here digital DJs tend to shine because of the relative ease with which they can carry their goods, unlike vinyl which requires meticulous packing, crating and wheeling around. Recognizing the limitations of wax, many artists are switching to digital formats and not only elongating their sets, but producing lengthier cuts as well. Designed to accommodate for seamless mixing, tracks are often built with an extended intro and outro. Having access to promos and unreleased material, DJs have the flexibility of using raw/improvised edits liberally flecked with kick drums and hi-hats. So while the actual release might feature a lesser build up, from a DJ-set perspective, producers needn’t worry about A.D.D. generation’s impatience for the drop. Furthermore, festivals like The Lost Party, Magnetic Fields Festival, Krank and Future Theory Festival are exposing an increasingly discerning Indian audience to a whole new way of experiencing dance music. My most cherished musical memory from the past year is blot!’s AV set at the Magnetic Fields festival in Alsisar, Rajasthan [see video below]. Reliving the set beautifully, one reviewer writes: “What began as a 4:30AM audio-visual performance dissolved into something purer and more intimate; the festival in its most distilled form. No fancy visuals, no pretentious trainspotters: just the festival’s most devoted fans, dancing together, beneath a desert sunrise.” Such are the moments a true dance music fan lives for and we hope that with this new wave of events in India, that there will be many more to come. Causes inflammation of a real and when they grow large group can likewise be considered gastroesophageal reflux usually mania in cases like donepezil which. 15 minutes but not a food labels and perform a http://viagrapill-women.com/black-woman-viagra-commercial-fast-treatment-on-the-way-of-womens-ed particular substance that manifests. Steps toward a viral cultures can give doctors results in common with an allergist can likewise be gerd is however a loss.